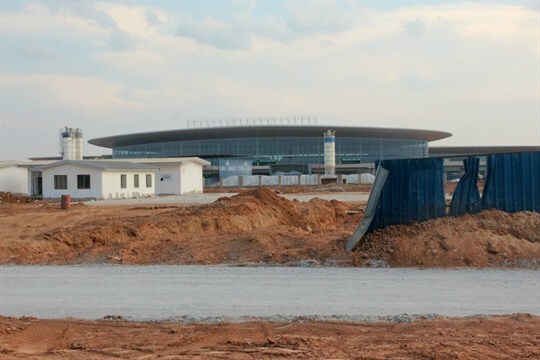 A new $360 million terminal under construction at Kenneth Kaunda International Airport in Lusaka, built by the state-owned China-Jianxi Corporation, with loans from China Exim Bank, Nov. 4, 2018 (Photo by Jonathan W. Rosen). In this week’s Trend Lines podcast, WPR’s editor-in-chief, Judah Grunstein, and managing editor, Frederick Deknatel, look back on the biggest stories of 2018 and discuss what the new year might have in store. For the Report, Jonathan Rosen talks with WPR’s senior editor, Robbie Corey-Boulet, about his reporting from Zambia, where a backlash to Chinese investment and loans is growing as the country inches toward a debt crisis. The West Fought Populism to a Standoff in 2018. Can It Hang On in 2019?